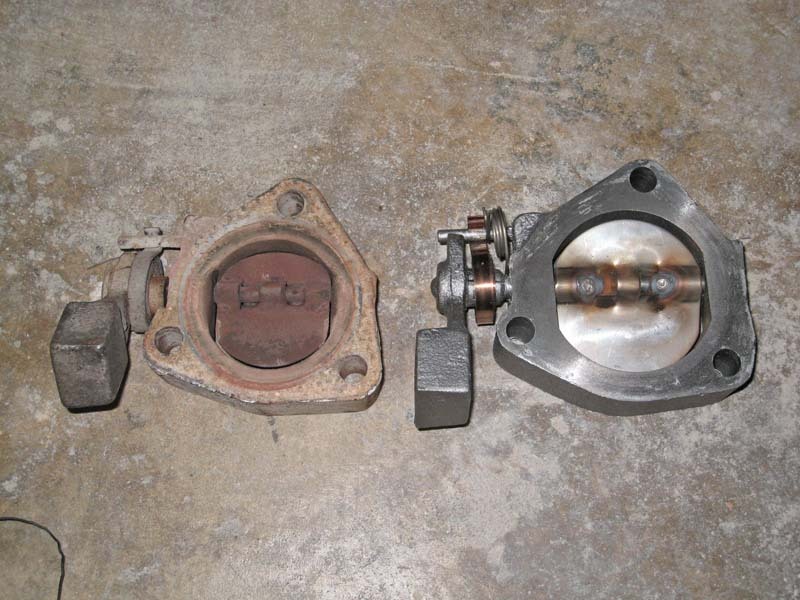 theres three common versions, of the rams horn exhaust manifold design. 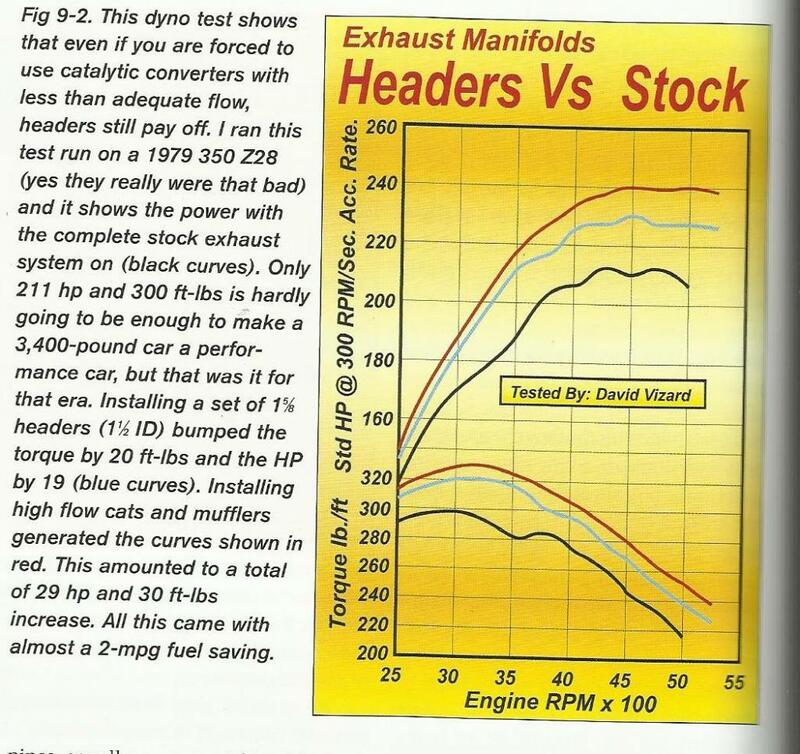 heres some threads to look thru, don,t ignore the sub links, keep in mind stock exhaust manifolds, even the rams horn corvette 2.5" versions start to be restrictive by 4000rpm, and on any headers a low restriction exhaust behind the manifolds or headers collectors are MANDATORY if you expect the headers to work anywhere near full potential. 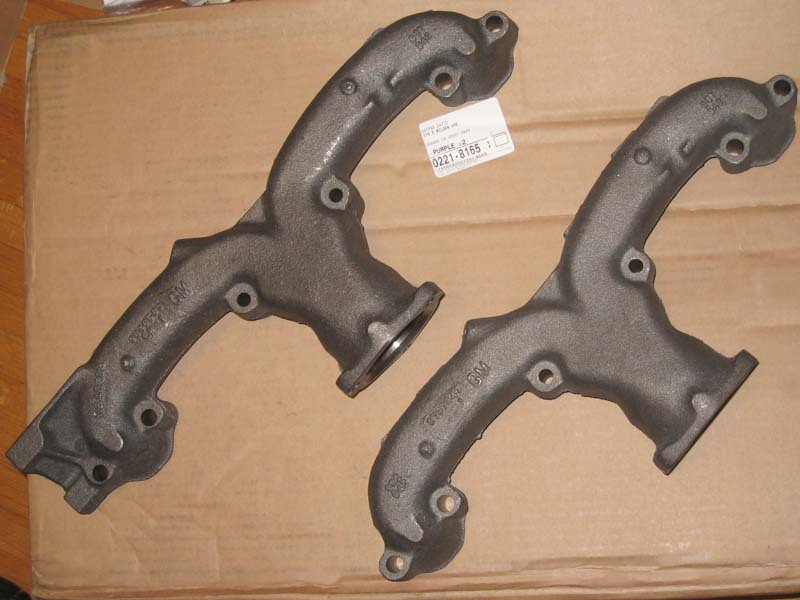 For "newer" cars with alternators, Corvette Paragon has a correct reproductions of 2.5 inch rams horns. Only down side is the price. 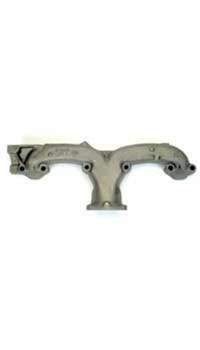 Right hand casting 3797942. Correct for 1964 passenger 327/300/365/375 and Corvette 327/300 and 365. There is a huge difference in flow potential between the 2.5 inch corvette exhaust design and standard pass car 2 inch rams horns. They fit and look just fine. 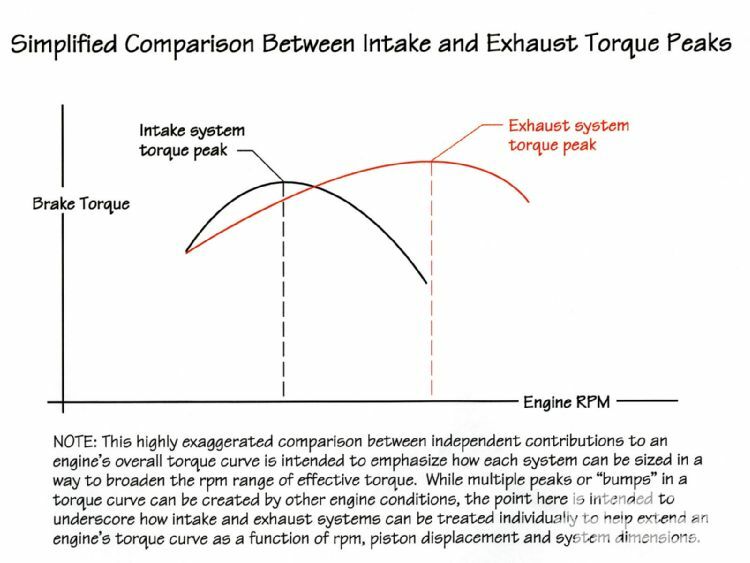 if your engine had a fairly larger 383-406 displacement, a decent cam with a fairly tight LSA lets say something with about 240 degrees or more at .050 lift or more and compression up at or over about 10:1 you would be strangling an engine designed to produce power up in the 6500rpm range. I had my newly built, mild 383 run on a dyno. It is going in my 64 Impala, so good torque was important as was keeping the idle civilized enough for power brakes and air conditioning. Given those constraints and the stock block, heads and intake manifold tow work with, it came out rather well. One of the things I wanted to test was the headers vs stock rams horns exhaust manifold topic that seems to come up from time to time. 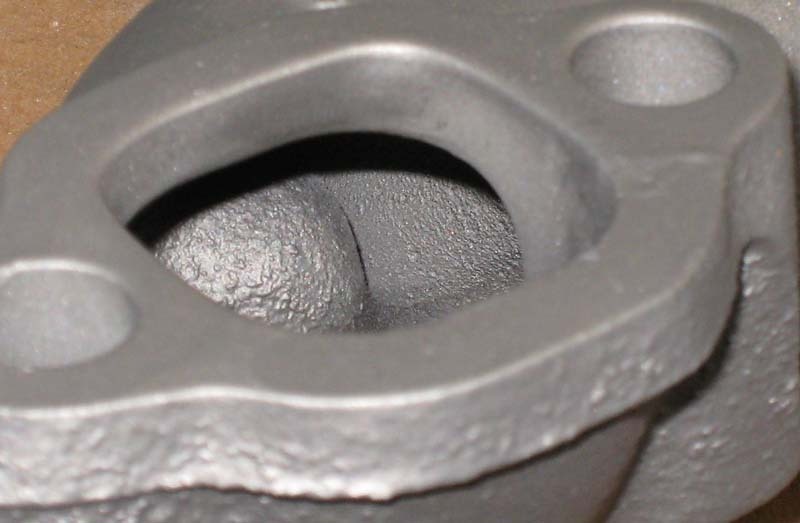 Since this engine is made of stock castings, overall breathing ability is rather limited. So the headers never really get a chance to show much advantage at the extreme top end. 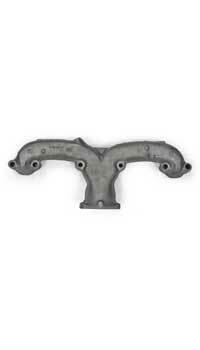 The rams horns are reproduction 2.5 inch manifolds that have the correct casting numbers on them. They were mildly ported and the anti-reversion bumps removed. I have to say, that in my test conditions, using the rams horns is a no brainer. 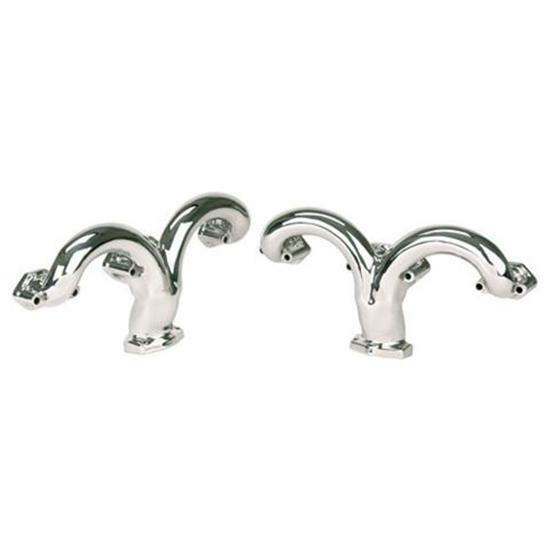 Why deal the disadvantages of headers for such a small gain? 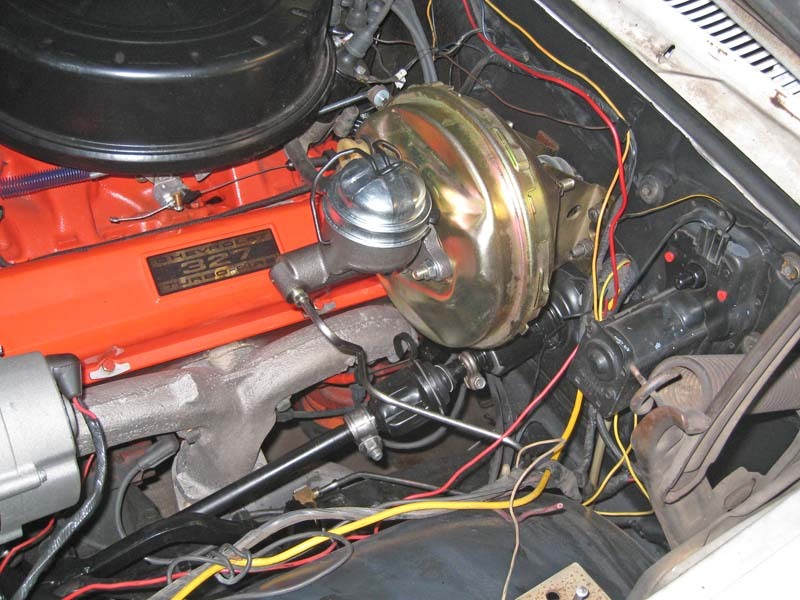 What made a bigger impact on performance was adding the 2.5 to 2 inch reducers to the pipes, to simulate what actually happens at the muffler on the stock exhaust system on the 64 Impala. It also points out that an all 2.5 inch exhaust system would be an advantage. And just for fun I did a run with the stock air cleaner and filter in place, along with the 2.5 to 2 inch reducers on the exhaust (trying to simulate how it will be once installed in the Impala). On a 64 Impala the air cleaner horn has a remarkably small opening and I was expecting it to really cause a hit on the performance. Surprisingly, the air cleaner/filter had little impact. This is probably highlighting how restricted the intake manifold is. 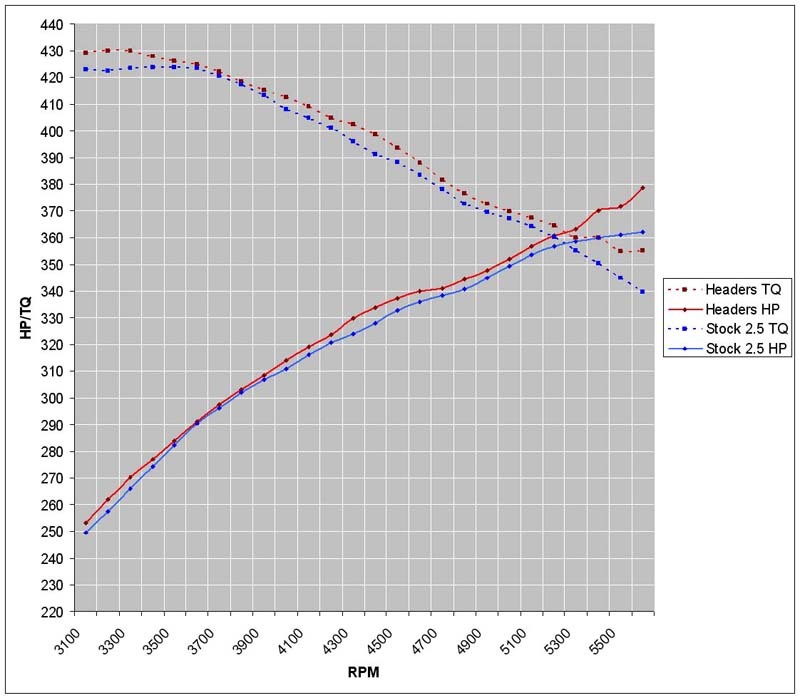 I am thinking it might be worth porting the intake a bit to pick up some more power higher up the RPM range. I donâ€™t think a mild port would have much if any effect on idle quality, since it is a 383 breathing through a 327â€™s intake. so would it be worthwhile to put these on an otherwise stock 283/2bbl with soon-to-be-dual exhaust? There is a possibility of future cam/head/carb enhancment. not to sound like a "numbers-matching-weenie" but aren't these slightly differetn than my originals? 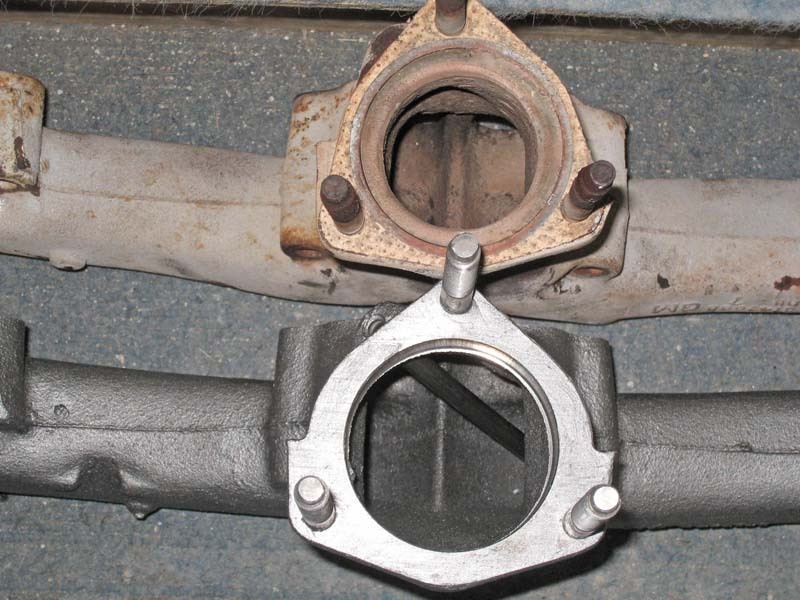 why run rams horn exhaust when headers are both fairly cheap and produce better results?? just asking, curious? I'm trying to keep things relatively stock-looking under the hood, even if it's at the expense of power; I'm not really looking for a hot rod, just 'a little better' than stock if possible. Also, aren't you more likely to be plagued by hot-start problems with headers? THERE IT IS!!! 504 HP @ 7400 rpm! That was my goal with headers, and once I realized we were off quite a bit on the camshaft I was pretty doubtful we would see it. Again, keep in mind the cam in this engine as supposed to be designed to run with ported exhaust manifolds, and was to have a "stock" idle. The idle went out the window as soon as the engine fired for the first time, and w/o giving away any camshaft details, the LSA on this cam has been a concern to me since I received it, but I was placing my trust in someone else's expertise. It's not a big issue, I didn't expect them to hit a bulls-eye the first time around, that's all part of the deal when building engines like this. Now that we'd hit my power goal with the headers, it was time to try the manifolds. As much as it pains me to say this, as I feared once I realized the cam wasn't right, the manifold test was a bust. 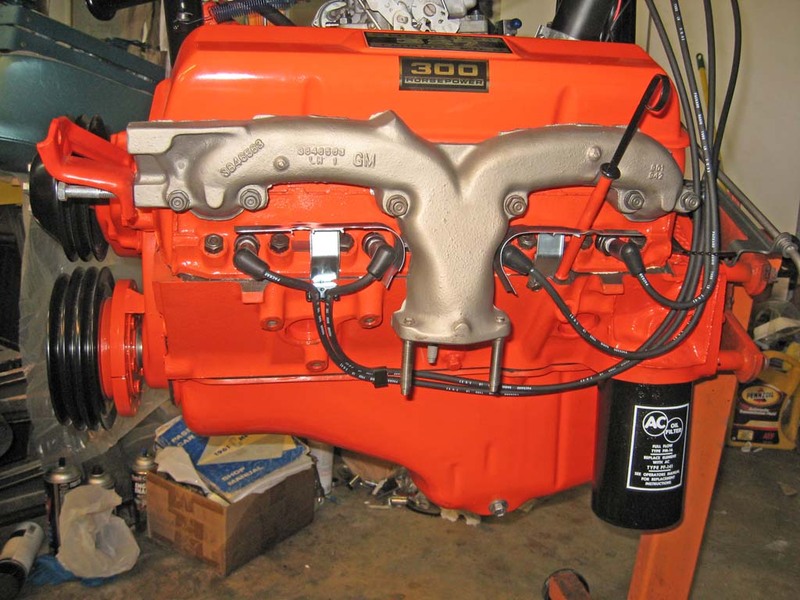 The engine flat-out HATED the manifolds...it lost 95 horsepower with the manifolds installed. eek However, even though the engine was obviously unhappy with the manifolds, peak power still came in @ 7200 rpm. As such, that will have to be re-tested during the next round of testing. 504 HP from 306" is just under 1.68 HP/CI, and 397 lb.ft of torque is 1.29 lb/CI. That's pretty stout considering how much there is still left on the table with this build. 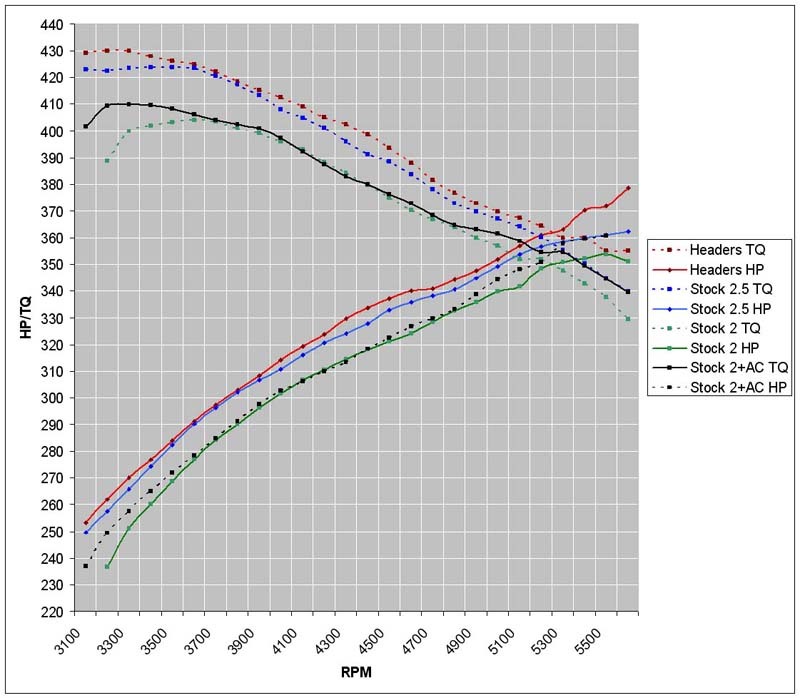 Last comments regarding the dyno sheets: This time the air/fuel ratios are correct, but the VE figures are nowhere close. I calculated VE using Pipemax software and it showed roughly 94% VE to match the actual dyno numbers. So that's it for now on this build, but rest assured, there will be more to come! Along those lines, I'd like to hear what you would like to see me do with this engine project--stick with the "F.A.S.T." theme?...go balls-out with headers?...tame it down a little with a more "practical" set of heads and cam? Grumpy something just don't look right with the above Water Brake Engine Dyno sheet printout. Volumemetric efficiency never exceeded 77.6%. 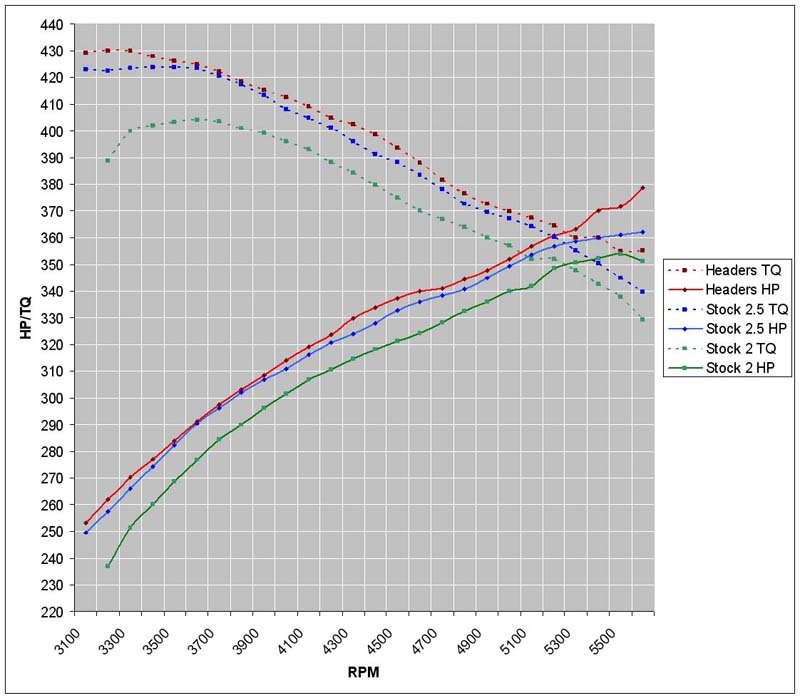 An engine making 1.68 Hp per cubic inch of 306ci peaking Hp @ 7400Rpms & 504 Hp & headers should have VE ar least 90-95%. Left alot in the table. Small CFM carb used ? Yes I read the notations Grumpy. 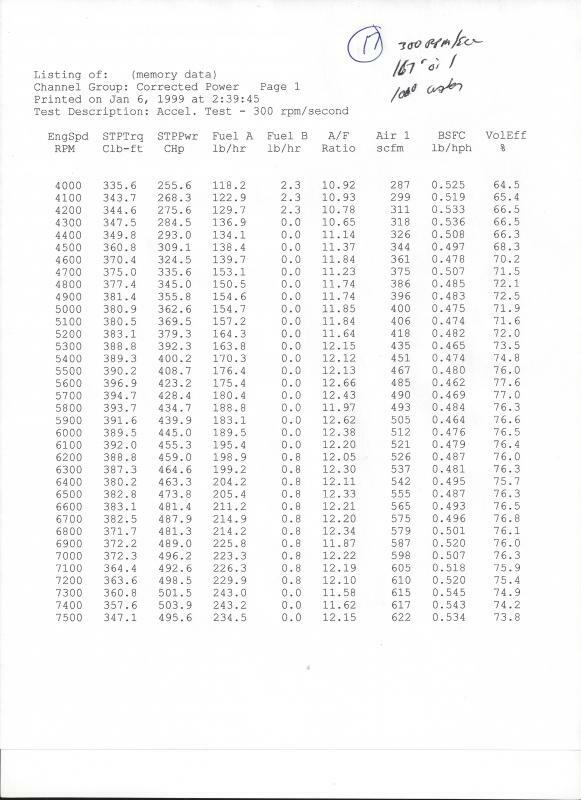 Old dyno test from '99. Interesting writeup none the less.